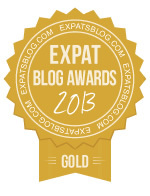 Coping With Expat Life in Saudi Arabia, Malaysia, Kazakhstan and Elsewhere. I have a real love for gadgets and I find that they improve my life disproportionately compared with their actual value. I love, for example, browsing the Lakeland UK catalogue and always find something I 'need' in amongst their pages. Their stores (there is one near my mother in law) are heaven on earth! Life as an expat is all about compromises. 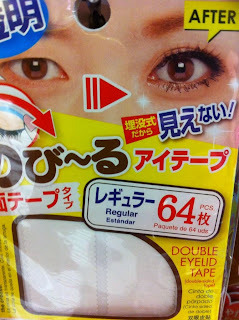 Some things that are an absolute necessity in your home country are just not available abroad so you have to bring them with you or just make do, particularly when they get lost in a move. Every destination has its own difficulties but, by way of compensation they often teach you about gadgets that you never thought you might need which then become an integral part of daily life. When we moved to Kazakhstan our landlady furnished us with a ‘thermopot’ instead of a kettle. What was the point, we thought, about having a pot of boiling water always at hand when a kettle (we used a stove top one in the UK) is just as easy. How wrong we were, the trusty thermopot gives us hot water at a press of a button, I now find myself getting impatient for the time it takes our parents’ kettles to boil when we go to visit them, so much so that we bought our own pot. My other must haves from various postings include my Turkish coffee maker (I rarely drink coffee but when I do I like the hit to be intense), my rice cooker, my breadmaker (sadly presently locked in a UK container) and my lovely Kenwood. ... but knife sharpeners prove elusive. 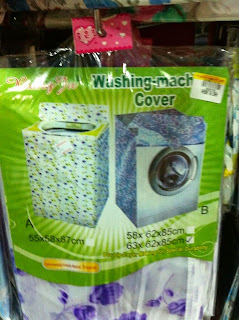 Living in Malaysia there are a number of things that I use every day that I thought would be easy to find. How wrong could you be? When we first arrived I went to the department store to look for a knife sharpener as our previous one was a mysterious casualty of the move. 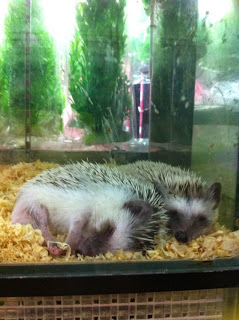 None of them were available for sale in the shop; I asked and even showed pictures and was told…’not here’. 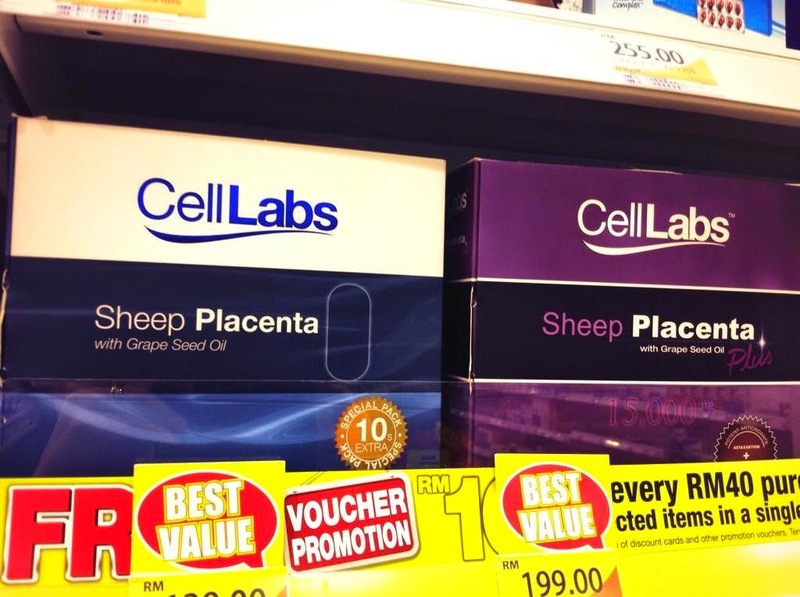 I looked in the supermarkets, in the gadget shops, in the vegetable markets, in just about any and every location I could think of. 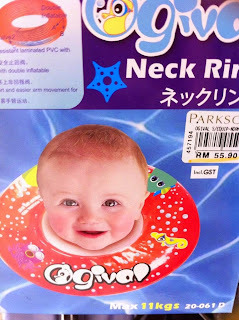 During my time in Miri I found so many weird and wonderful things for sale but never came across my simple knife sharpener. I am not fussy, I would have been happy with a whet stone, I even thought about using my front step but all the stones in the garden were marble so no luck there! eyelid tape .... but my knives were destined to remain blunt. Finally the day before we moved to Ipoh I found the object of my dreams in a new delivery to the Japanese 5RM (£1) gadget shop – I am now the proud owner of a knife sharpener, who would have thought that a simple quest could have taken 9 months. I was almost disappointed when it was over. Nevertheless other projects remain. My hob here is gas (I dislike cooking on gas) and I need some simmer plates to control the temperature a little better. They are nowhere to be found; my sister has a set in the UK, but they are an old set of mine purchased in the Netherlands, she had searched for these elusive gadgets for about 5 years before I made a gift of them. I suspect, therefore, based on prior experience, that by the time a set turn up I will be living in a house with a lovely, easily controlled (if expensive to run), electric hob. knives are not so lucky. My other quests are for a static, vertical vegetable peeler and a cheese slice, also casualties of recent moves. I know I could use a knife for both but I prefer a peeler for the vegetables. The one I have at the moment is set on a swivel and I just don’t have the knack to use it properly and quickly. I am sure there must be a static one out there somewhere, whenever we go to a new city I make time to search in the department store for my desired objects. Rather like a treasure hunt the children have been promised a big surprise if they spot one for me before we return to the UK for a family wedding at Christmas time. Where cheese is concerned this is a topic of cultural culinary tension in our house. My husband puts thick, knife cut, slices of cheese in his sandwiches. I think that is wasteful – hard cheese should be sliced for this purpose. I have searched high and low but to no avail. My sister and father have been tasked to search for a slice in the UK. If none can be found I shall have to ask my uncle to bring one to my sister’s wedding in December, possibly together with some simmer plates. 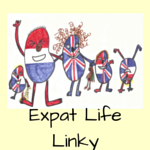 Added to the Expat Life blog link up - click for some of the best posts on the up and downs of expat life. 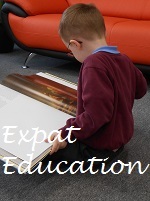 Click on the picture for more posts on the challenges of expat life. 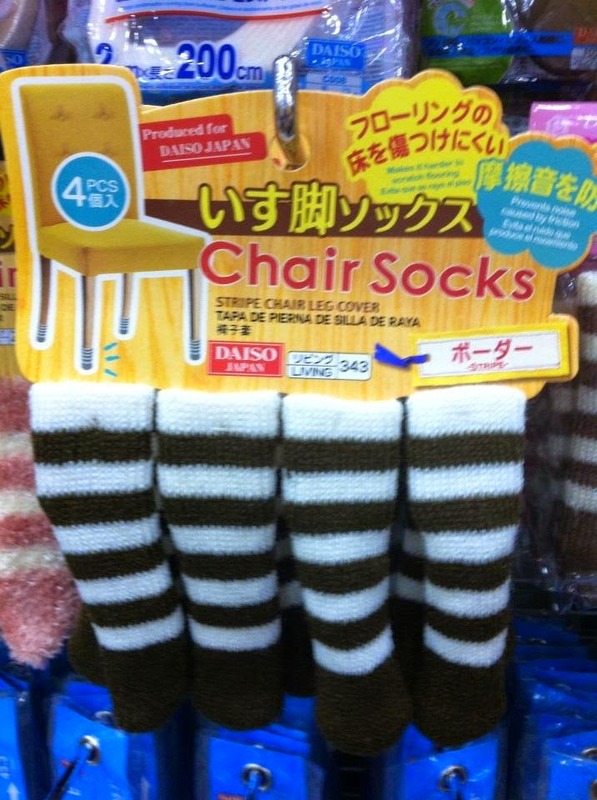 :0 I want chair socks!!! 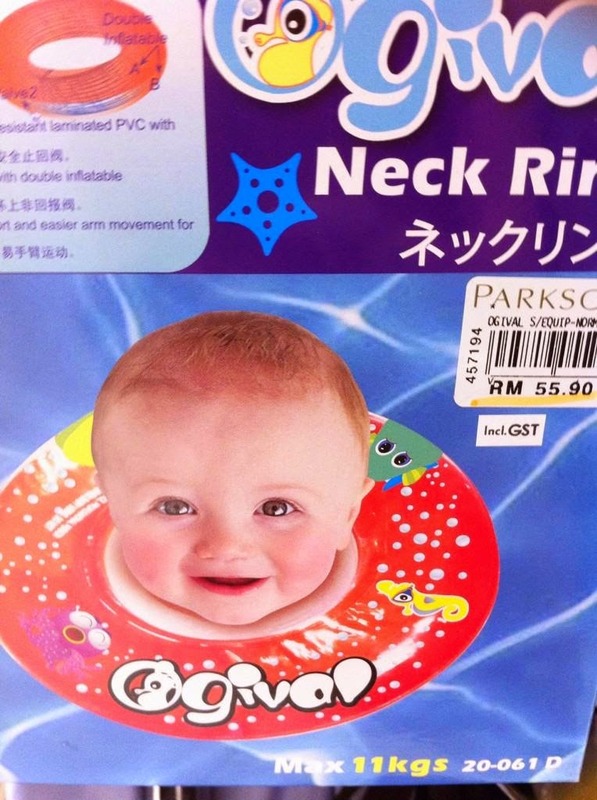 It's always interesting what relatively normal thing you just can't get in some countrys. We really struggled to find what we call nappy sacks - basically little plastic bags to put dirty nappies in before you throw them away - in the States when we were visiting and stocking up fro St Lucia. 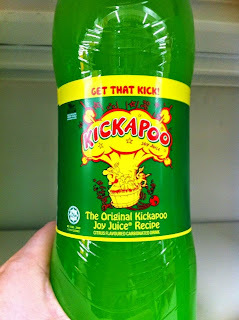 You could though get doggie poop bags, which were essentially the same thing and in the end what we used. If you think the chair socks are cute you should see the teddy curtain tie backs I bought to stop my baby hanging herself on the ties (think extra large hair ties tied around the curtains). I love them! I know what you mean about the nappy sacks - we use washable nappies at home but out and about I have to use the doggie bags - I sort of wonder what people use in countries that do not stock them as standard. - rough granite would do it! 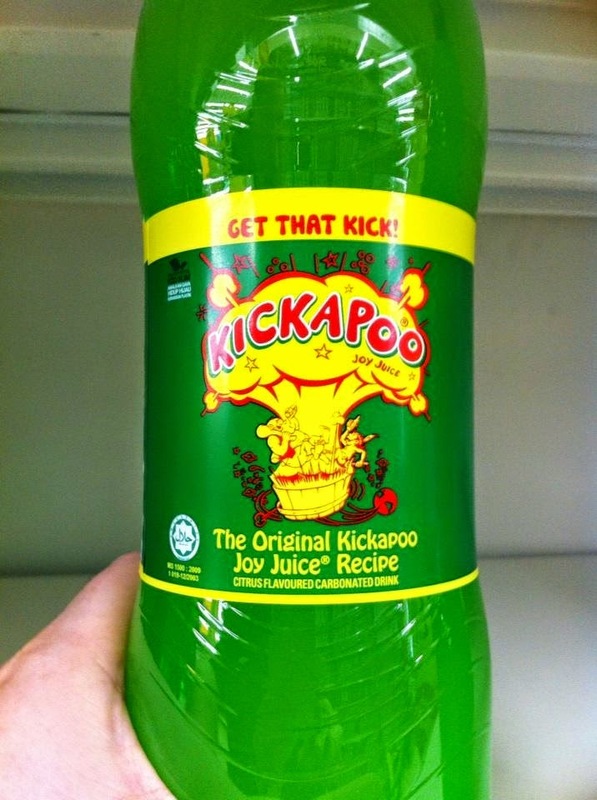 I will have to try kickapoo now that you have recommended it. I am a no longer 30 something global soul, a perpetual expat. I was born in the Netherlands to a Dutch/Irish Family. Since then I have lived in Norway, Nigeria, Turkey and Venezuela. I went to school and university in the UK. 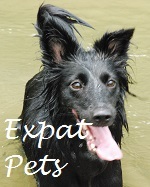 We decided to have an adventure and took our children and the dog(s) to live abroad, first to Kazakhstan and then to various locations in Malaysia. Our current home is in Jeddah, Saudi Arabia. This blog is about how we muddle through daily life as expats and how things have changed from the adventures of my childhood. | The one-stop site for "trailing spouses." Home | Tiny Expats | Exploring the world with our two Tiny Expats – UK, Germany, China, Russia, Ukraine, Czech Republic and beyond.